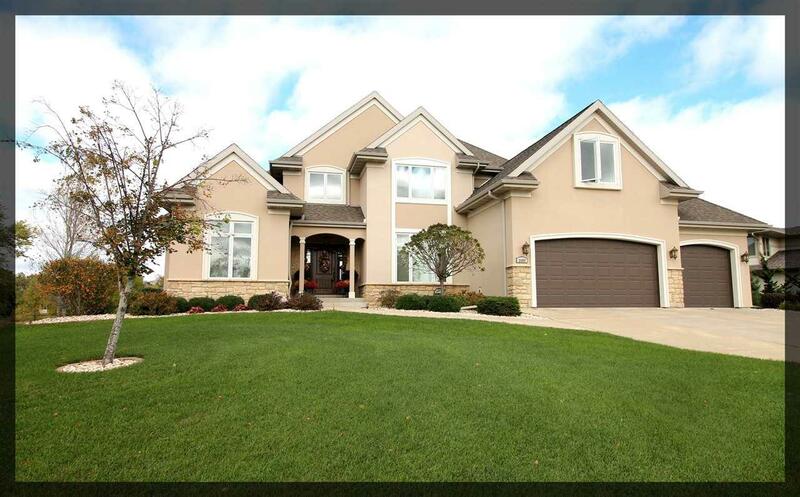 2689 Harpers Ct, Janesville, WI 53563 (#1843608) :: Nicole Charles & Associates, Inc. Stunning, executive home! Gorgeous engineered birch floors, great room with 10-11 ft ceilings, an elegant gas fireplace and built ins. Gourmet kitchen with granite tops, stainless appliances and an island with beverage cooler. 3-4 bedrooms upstairs, 2 full baths and walk up storage. Sprawling master suite with full bath and tiled shower & double vanity. 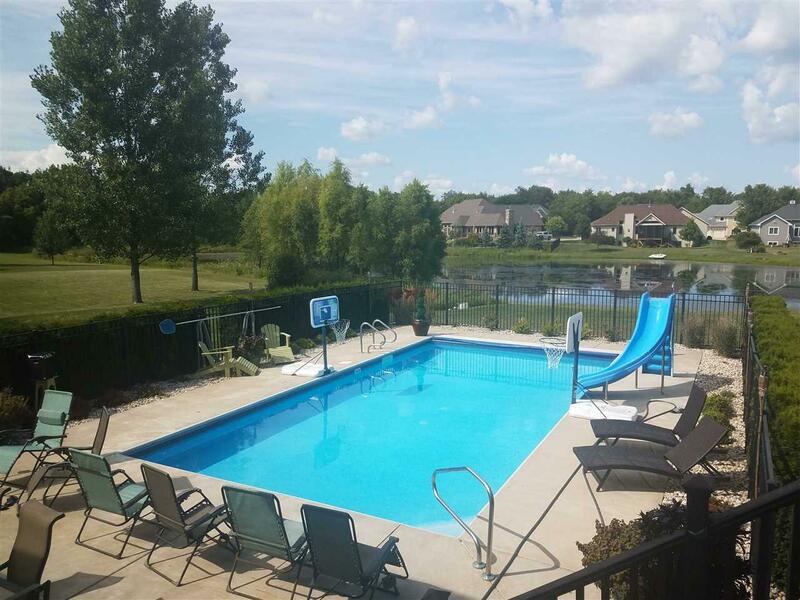 Breathtaking views of the manicured yard, in ground pool and private pond/greenbelt area. Freshly finished lower level offers a full custom bar, gaming area, exercise room and a full bath. Walk out lower level to the garage. Your dream awaits!